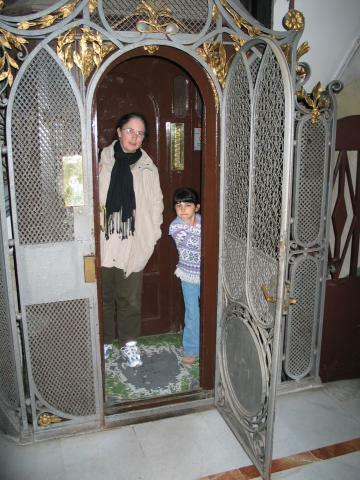 Pat and Xandie try out the Victorian-era elevator in our Barcelona hotel. The elevator could hold all three of us, but not with luggage. Xandie loved playing elevator operator.